Dental health is a key determinant of your overall health, and a great smile helps you lead a successful life. If you have poor oral health, you probably have other conditions as well. And if your smile isn’t everything you might want, your social, work, and personal life may suffer. Because of this, it is vital that you visit a dentist regularly. But finding the right dentist for you and your family can be difficult. There are thousands of dentists in practice, each with their own approaches, locations, and office hours. It can be challenging to find the dentist that is perfect for you. If you don’t currently have a dentist, you may have dental phobia, have moved to a new area, or have other reasons for not having chosen a dental practice. And oftentimes a dentist is the last thing on your mind. But, not having a dentist makes no sense, because, beyond your doctor, your dentist may well have the most significant impact on your health, both dental and general. 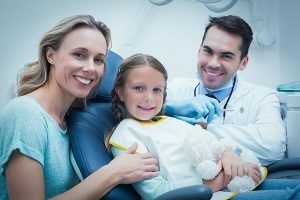 At Ria Family Dental, we are so confident that we are the right dentist for you, that we offer you these tips to help you search for a dentist. We expect, that once your search is complete, you will choose us! Qualifications. You need to know about the dentist’s training. If the staff seems uncomfortable answering your questions, or you don’t like their answers, move along to another dentist. Normally a dental practice will be happy to share their qualifications. Location. No matter how great your dentist is, if you can’t reach them, can’t find parking, can’t fit into their hours, or can’t receive the treatment you need, it’s not a good fit. You need to visit at least twice a year and don’t need excuses not to visit! Hours of operation. Make sure the dentist offers hours that are convenient for you. Services offered. Look for both a broad range of general services and any specific dental treatments you or your family might need. Staff. Polite, friendly, and efficient staff can make your entire experience better. Choosing a dentist is like choosing a friend – it is important that you are a good fit and feel comfortable with each other. Are the practice times convenient? Are the premises clean and organised? Is the technology up to date? Is there a range of payment options? How does the practice calm sensitive or anxious patients? Is the practice up to date on the latest techniques and dental methods? What is the education and training of the dentist and staff? LISTEN to you and your concerns. It is crucial that you trust your dentist. Examine you carefully and thoroughly. Sit down with you and patiently describe your current problems in plain language. Provide you with several practical solutions to your problems arranged in an understandable step-by-step “worst first” plan of treatment. If necessary, treatment plans can be broken down into of phases that are effective, spread out, and aren’t economically challenging. Help you understand your dental insurance (or other healthcare program) and how you can best take advantage of it. Provide a clear written estimate of your expected cost for treatment, as well as reasonable expected outcomes. Always be available to discuss any concerns you might have. If you are searching for a new dentist, begin by asking friends, family, and health professionals such as your doctor or pharmacist. Often, someone close can offer a solid recommendation. Check on the web to be sure a dentist has the skills and services you require. Internet search tools such as Yelp or Google can be very helpful. When your search narrows down, go on a visit. Ask questions about procedures, practices, and policies. Talk to the office staff about their training and education, specialities, term of practice, appointment schedules, office hours, emergency care, and payment plans. The more you learn, the better! If you think you have found a great dentist, take a test run. Visit and have the dental office treat you. If you have a bad experience at, don’t go back. You are in charge and deserve a dentist who is right for you! At Ria Family Dental in Yeronga, we provide comprehensive care addressing both your short and long-term dental care needs. We provide an honest, judgment-free environment in which we practice convenient, comfortable, and conservative care designed to maximise your smile and oral health! We are located at 1/451B Fairfield Rd, with Yeronga station, and bus stops nearby, as well convenient store-front parking. For the convenience of our patients, we offer early evening hours on most weeknights. 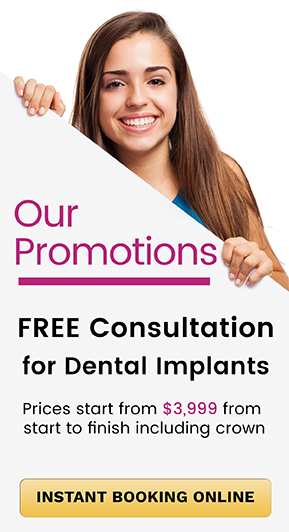 Call (07) 3892 1331 or visit us at 1/451B Fairfield Rd in Yeronga.